Quality authentic products from Mexico! Are you looking for quality, wholesale candies, piñatas and party favors? San Jose Imports provides a wide selection for all of your party needs. 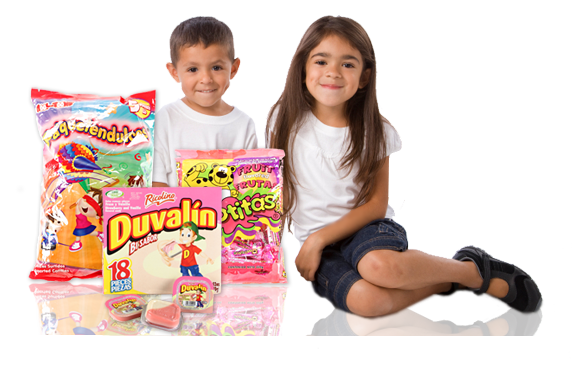 We are the leading distributor of wholesale Mexican candies and chocolates in the Chicagoland area. San Jose Imports is also the leading seller of Mexican candy and party favors in the Midwest. Our Chicago candy company imports all of our products directly from Mexico, ensuring an authentic taste and experience. In fact, we offer over 800 different types of candy and party favors. Whether you are in need of a few cases of candy or hundreds of cases of party favors, San Jose Imports can assist you. With our large selection of products, it is easy to find what you are looking for. Our qualified staff can help you bring your upcoming event to the next level with our authentic and delicious Mexican treats. Learn more about the products we offer at San Jose Imports.